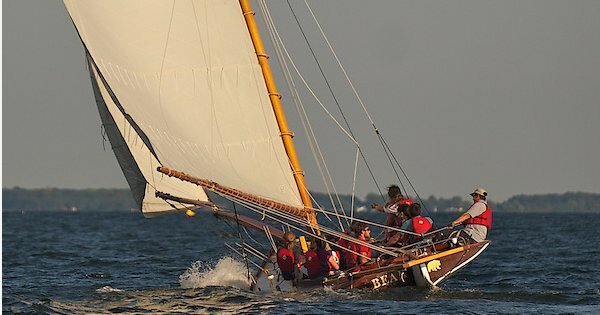 The National Sailing Hall of Fame (NSHOF) in Annapolis has extended an invitation for our team to sail their Sandbaggers Bull and Bear on Wednesday September 6th at 5:00 PM in Annapolis. There are two boats and the team is limited to six sailors and one adult chaperon per boat. The sailing starts at 5:30 and usually last about 1-1/2 hours. You can find out more about the boats and the NSHOF program here. The plan for Wednesday September 6th, which is our first scheduled practice. is to meet at our normal time after school (3:00 PM) so the entire team can take their swim test. At 4:00 PM our returning team members will depart KIYC for Annapolis by carpool, and our new team members will remain at KIYC for an orientation to our boats and practice procedures. There is no fee for the trip, but we need two parent chaperons to sail and possibly another driver or two depending on the capacity of the chaperons’ vehicles. NSHOF requires each parent to sign a liability release. You can download the release and return a signed copy to info@kisailing.org or send a printed copy along with your sailor on the 6th. If you can provide transportation or would like to sail please let us know.